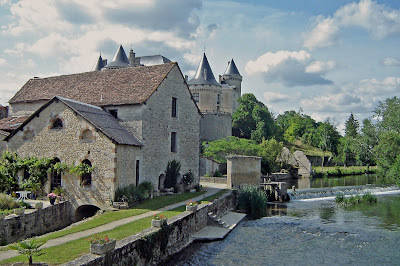 Here is part two of our journey to France in August 2004. You can catch up with part one here. 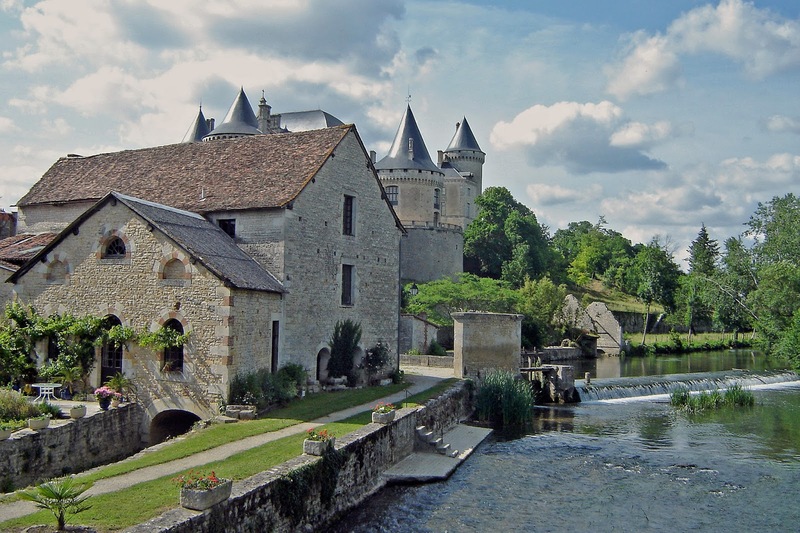 We were glad to leave the beetle infested hotel room behind and continue our journey south to Poitou-Charentes and enjoyed an uneventful day of driving in convoy, Ed mostly up front with Dad in Gizmo the Mini Cooper, me following on alone, listening to French radio for company. I remember being slightly disappointed at how little I understood, as though being an official resident rather than holidaymaker would miraculously change my brain and wondered (not for the last time) how long it would take to understand what was being said. Lunch was McDonalds (again), not because we particularly liked it, but because the soft play climbing area was a perfect exercise break for Ed and the coffee was pretty decent too. We spent a number of years planning our journeys in France based on the locations of McDonalds with indoor play areas, but thankfully those days are long gone now. At the end of the day we arrived at the B&B in the small Charente hamlet, not far from the pretty village of Verteuil-sur-Charente, that was guaranteed to be beetle free. It had become a familiar and friendly place as we had stayed there for each of our three house hunting visits and having somewhere familiar was important for Ed, even though it was about an hour away from our new village. The owners had won Ed over with smiley face potato shapes, bought specially for him on our first visit in March 2004 and he was looking forward to showing them Gizmo the Mini. However our second night in France didn’t start out much better than the first. It was over 35 degrees; the air was heavy and our clothes sticky, but the B&B was eerily deserted. We had been in regular contact throughout the house buying process and these two nights, with meals, had been booked for weeks. Having confirmed all doors were locked, we made ourselves at home in their garden where Ed ran and played as we watched the distant clouds roll in over the countryside and tried not to panic. It looked like a storm was brewing and the lack of sleep followed by a day of driving and entertaining a three year old meant tempers were frayed; especially when a night sleeping in the cars seemed a real possibility. Even the thought of my six-foot husband sleeping in his Mini Cooper couldn’t raise a smile to my lips. We did have email back then, but the days of on the move email communication were still a few years away and we had last checked ours on Friday before leaving Reading, so had no idea of the drama that had unfolded for our friends since then. On her return a few hours later we learned an unexpected and rather serious illness had hospitalized one of our B&B hosts, so although we did get a comfortable bed that night, it was a rather subdued first night in Poitou-Charentes. We were now only one sleep away from signing for our house, but the excitement was diminishing by the day. To read the next day's adventure, our 12th anniversary of picking up the keys, click here. 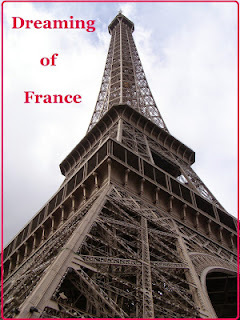 This post has been linked to the Dreaming of France blog link. Click here to read more posts set in France.